Imitate one of Snapchat’s most recognizable filters with our latest creative course: flower crown making! What better way to get dolled up for any occasion or let’s be honest, an Instagram photo opp than with a flower crown? 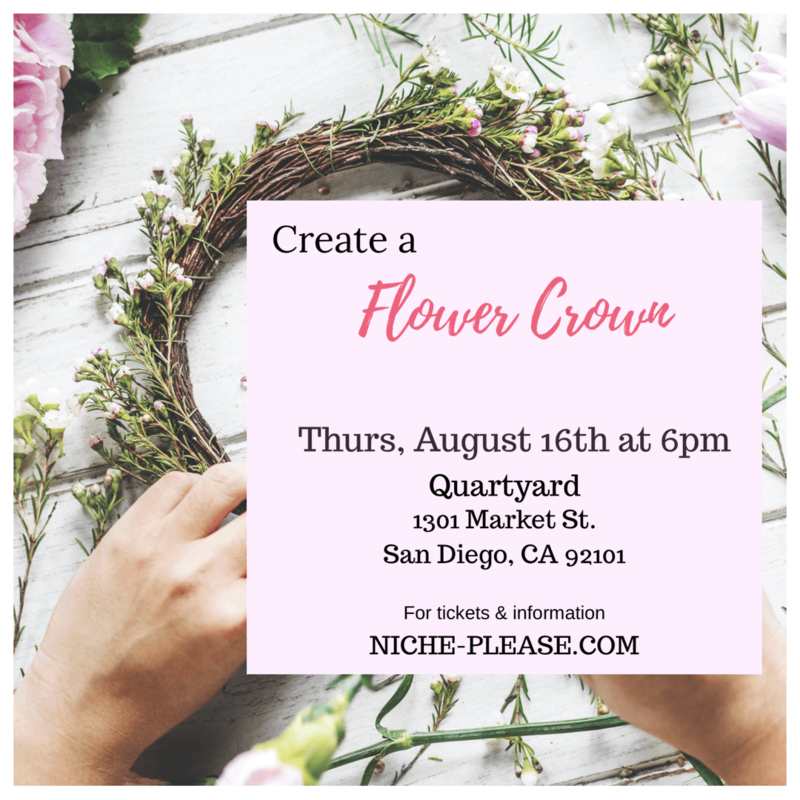 During this workshop Karly Warner, with K Bird Design, will guide you through creating a one-of-a-kind crown to frame those rosy red cheeks with whimsical greenery and summer flowers! Even better, we’ll be using blooms that dry well so you can preserve your masterpiece and wear it on more than one occasion! Mini roses, straw flower, lavender, feathered eucalyptus….Can we all just take a moment to truly appreciate that?